They also urged all sides to show flexibility to find a durable solution to the Afghan conflict. The two sides agreed to continue their mutual collaboration at the regional multilateral and international forums. They expressed their support for consensus-based reform of the United Nations so that it responds to the interests and concerns of all member states. 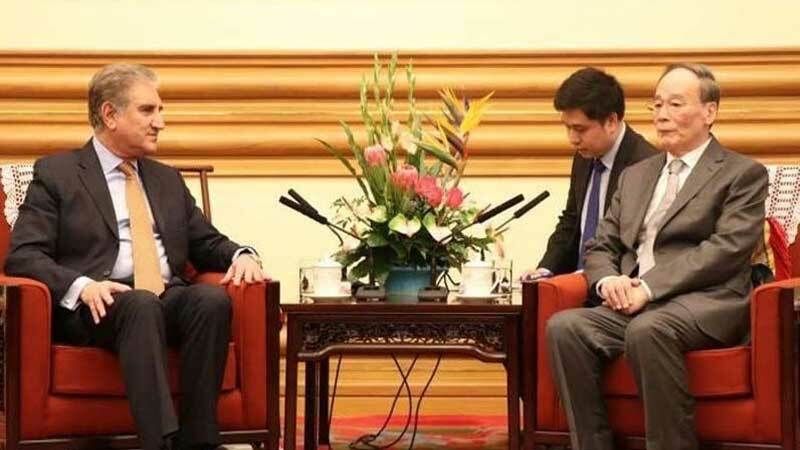 Separately, Foreign Minister Shah Mahmood Qureshi called on Chinese Vice President Wang Qishan and briefed him on the progress in development of CPEC.